I will share a little story about something strange I saw years ago. I don't remember exactly how old I was, but I was somewhere between 14-17 years old. We were a group of friends walking down a street with houses and one house caught our eyes, because it was pretty much a wreck. We all stopped up to take a look at the house from the street when suddenly a white, bald man-like figure showed up its garden and raised its hand in a wave. The figure was glowing a shade of white. It's eyes were black. It's mouth was a huge smile with red lips and long sharp teeth. It was there for a moment and then it was gone. I looked at my friends and asked if someone saw anything. All except one shook their heads, but one of the others, who was a girl 6 years younger than me, said she had seen something too. I asked her to describe what she had seen, before told her anything, to be sure she wasn't mocking me. She described the same figure I had seen, except that she had seen blue eyes and a hat on its head. I have never seen that figure again since and I still wonder what it was and why I and the other girl saw it. I have also wondered why we saw that slight difference in detail. I have always assumed it was a jinn, because I can't think of what else it could have been. If it was a jinn as I assume it was. Why would it show itself to two of us then? There is nothing such as ghosts so it can't be that. I doubt it could have been a hallucination, since we were two to see it and we were not affected by anything. it's not possible for two people to have the same hallucination when not being affected by anything..is it? And Allah knows best what it was. Interesting. You mentioned that it was there for a moment and then gone. How did it go? Did it de-materialize visibly before your eyes or did it walk away? What I've learned from the paranormal experiences of others, jinn presumably can appear differently simultaneously to different viewers. But Allah knows best. I've also heard that jinn can be seen more accurately by children below 10 or so. But again Allah-o-Alim. A simple explanation could be that it may have been someone wearing an eerie mask (as non-Muslims do during halloween for example) when he waved, and then he wore the hat seconds later as seen by the younger child. I remember I looked at the garden when the figure suddenly appeared under a tree. Then it dissapeared. So I'd say it materialized and dematerialized yes since a human couldn't have appeared and dissapeared that way and with that white glow. Though Allah knows best what it was and why it appeared, I still can't help but wondering about it, but that's how the human nature is I guess. Wanting answers even if we can't always get them. A jin, I would presume. "white glow" .... reminds me, jinn are made of scorching or smokeless fire as the Quran confirms. That would explain the glow indeed, I hadn't thought of the fire as a possible explanation for the glow. And as I said earlier, I can't see what else it should have been. As in why it showed itself for me and the other girl..that'll remain a mystery I guess. Would it be jinn behavior to show themselves with no other reason than to just see how a human will react to it? I guess jinn can get bored like humen..who knows.. I'm just presuming a connection between the "glow" and the material with which Allah created the jinn. Even glows can be of many types. So I'm only guessing. Since jinn are made of smokeless, scorching or essential fire as the Quran confirms, maybe .. just maybe ... at times some kind of glimmer or luminescence could be emitted from the jinn. It also depends on how precisely the human seer is able to observe and recall. Often such sightings are brief and unexpected. The person who sees is left awestruck, confused or fearful, and therefore it isn't always easy to recall every bit of detail correctly. However, much of the aspects about the jinn still belong to the unseen, only known to Allah Almighty. We know that jinn exist, that like humans, they can be either good folks, not too good or bad ones. Jinn can be believers or disbelievers. This is confirmed in the Quran. Moreover, with reference to Surah 27:38-40 we also know that jinn have an ability which humans don't, that is, performing certain tasks with the speed or velocity not bestowed in humans by The Almighty. When Prophet Sulaiman (pbuh) told the jinn who were working for him to bring him the throne of the queen of Saba (or Sheba) which is a place in Yemen, they preformed the task in minutes or seconds. According to historical data, Prophet Sulaiman (or Solomon, pbuh) lived somewhere in the region of Palestine. Distance from Yemen to Palestine is approximately 1,400 miles. Even if it was a shorter distance, carrying anything from one country to another in minutes is humanly impossible but obviously possible for the jinn. It's very likely that the jinn have many other characteristics too as bestowed on them by Allah. Probably for this reason personal experiences of humans on the sightings of jinn are many and sometimes vivid, often leaving us wonderstruck. Some details of these experiences may certainly pertain to reality while some may consist of the unintentional inaccuracies in memory and cognition. Only The Almighty would know the precise status of every such sighting. It's wise words sister. Our senses are limited and we're created weak and forgetful. I think that Allah chose to tell us something about jinn both as a warning but also to make us be amazed of His creation. Some people, especially athesists, thinks that humankind is the ultimate being and that no creature exsists that can do more than man. Allah proves that they're wrong by telling about jinn which have abilities a human can never achieve. At least I think that's why we're allowed to know something about jinn. Allah could have chosen not to let us know anything about them after all if He had wanted to. So correct. Agree 110%. May Allah Almighty bless you dear Sister for your insight and intelligence. Ameen. Human temperament is inherently arrogant. They're hasty and greedy for grabbing praise and admiration for themselves. Scientific observations clearly compliment Allah Almighty. But the unthinking human mind uses those observations and discoveries to compliment themselves and deride Allah. That's how far astray majority of them are. 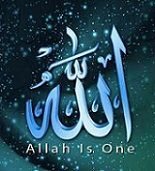 Allah has reminded humankind again and again in His Final Message on this aspect, the oft repeated Quranic expression "Kun Faya Kun" or "Be and it is" which is explained by perceiving readers of the Quran as "Do not limit The Limitless." The Almighty again reminds the human race in the 67th Verse of Surah Az-Zumar (39th Chapter): "Wama qadru Allaha haqqa qadrihi, wal-ardu jamian qabzatahu yawma al-Qayamati." This translates as "And they esteem not Allah as He has the right to be esteemed, when the whole earth is His handful on the Day of Resurrection," Then yet again The Almighty tells mankind in Verse 10:18 Surah Yunus: "Do you [think that you could] inform Allah of anything in the heavens or on earth that He does not know?" Thus in Surah Al-Furqan, Allah quotes the future words of the final messenger (pbuh) when he will complain to Allah on the Day of Judgement about majority of humans who rejected the Noble Quran to their own hurt: "O my Rab! Indeed! mine own folk make this Quran of no account." (25:30). Quote: "So underlying all the forms of this world is the Truth and Power of commands that are veiled from us by the forms and limits of existence and by the boundaries of our perceptions and by the fact that all our instruments of perception operate within the limits of this universe." 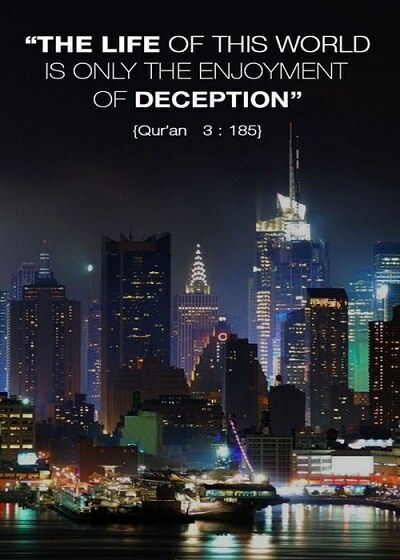 It makes me think of the way Allah is hiding the truth and the guidiance from those he has not yet guided, or doesn't wish to guide certain people towards islam, by putting a veil over their eyes. No matter how you try to explain aspects about Islam to a non-beliver whom Allah has not wished to guide, you just can't get through no matter how politely, reasonable, or simple you explain it. I see the same concept in this topic about humankinds limits..those things we just can't percieve..and no matter how and how many times we flips it over in our minds, we are not closer to a headache than to an answer. It's right there in front of us, right behind a veil, but we simply can't understand it or pecieve it simply because Allah doesn't want us to be able to. As-Salam Alaikum Sister Khadija. Nice to see you here. Please don't worry about late response. Allah bless you my sister. You're absolutely right. It's a waste of time talking to those who are not destined to believe. Allah will never bestow guidance on them. Allah Almighty says in Verse 56 of Surah Al-Qasas (28th Chapter): "Indeed! you (O Muhammed) guide not whom you love, but Allah guides whom He wills. And He is Best Aware of those who walk aright." Some disbelievers also dispute on this point claiming if Allah has ruled out guidance from a person's fate then why should they be punished? Again, as usual, they are unable to grasp the meaning because of the weakness of their own souls. Allah guides whom He wills refers to those granted guidance who make themselves worthy of it through their own effort and humility; those who come to Allah with a contrite heart, not with a challenging spirit. That's when their perception begins to sharpen, and then, the more they rise in wisdom .. the more Allah gives them. Thus, it's humankind who must take the initiative to turn towards Him. That's the first step. Thus Allah says in Verse 13:11 (Surah Al-Rad) "Indeed! Allah changes not the condition of a folk until they (first) change that which is in their hearts;" SubhanAllah. So true. That quote you posted from the article is spot on, Alhumdulilah. Human ability and comprehension has limits and we are shrouded with the unseen .. some of which we are destined to discover (by His will) and some not. Those aspects which humans are unable to discover must humbly be accepted as the unseen. But instead, whatever humans are unable to see or comprehend in accordance with their own power of reasoning (which is limited), they lapse into denial and ridicule towards The Creator. Thus, their own arrogance puts them on the path of misguidance. If they wake up at some point, Allah may guide them if He sees any good in them. But most of them only grow in conceit and stubbornness until Allah decides to abandon them. That's the ultimate failure for which such folks are themselves responsible. Guidance from The Almghty which strengthens our iman and elevates our conduct is the only wealth we will be carrying with us in our Final Journey. Everything else will be left behind .... money, property, fancy cars, costly clothes etc. etc. .... all of that in the next world (the permanent world) will be 'date-expired items,' no good. So, I can imagine how much the disbelievers will be missing out on. Alas, that's how humans ruin their own souls. Waleikum Salam Sister. Thank you for the welcome. It is nice to be here. It's so true that in the end our earthly belongings stays behind, even our bodies. Sometimes I have a feeling that everything I have is borrowed and nothing is really truly mine, because it could dissapear at anytime either by death or other cirumstances. We thank Allah for giving us many blessings but He can take it all back anytime if He wants to including our souls. Walaikum Salaam Sister Khadija. Welcome from me too. Allah Almighty briefly summarizes the temporary nature of this fleeting world in Verse 3:185 so precisely and beautifully. Thank you for the welcome Sister. I'm happy to be here. It's indeed good to keep in mind that there is an afterlife. It makes it easier to deal with bad times, things we can't have, and when life doesn't go like we want it to in general. V.3:185 is adorably amazing. As the years pass by, rolling this so-called modern world from one glitzy state to another, Verse 3:185 is being proven more and more true.